Dazed give away ten hand-signed cassette tapes from the experimental pop sensation and current coverstar in a 10-day treasure hunt! 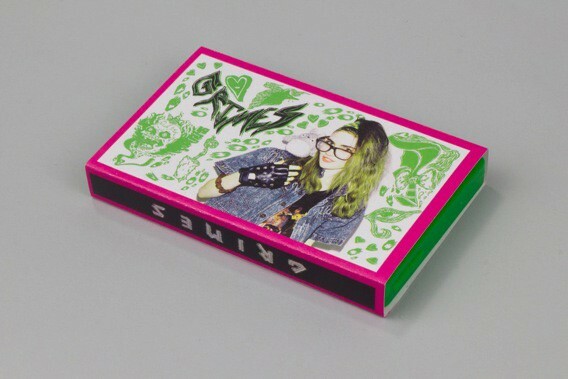 Dazed & Confused's current coverstar, the 23-year-old leftfield musician, Grimes, has hand-signed and designed the cover-sleeves of ten unique cassette tapes featuring 'Genesis' taken from her new album 'Visions' on 4AD, and bonus b-side 'Ambrosia'. The exclusive tapes featuring her own personal artwork are up for grabs in a Dazed Treasure Hunt kicking off today! Running on a first come first served basis, one tape will be left in each of ten secret locations across the UK - where Dazed will be tweeting out daily updates on hints as to their elusive whereabouts on Twitter. We're calling all Grimes fans to simply head down to the venue/location upon clocking onto the clue (be it a Twitpic of a distinctive item in the venue or a mind-boggling riddle) - with a copy of the new issue of Dazed & Confused and ask for the tape. Ten runner-ups will receive exclusive Grimes x Dazed posters, stickers and a year's online subscription to Dazed & Confused Magazine. Keep an eye on the Dazed Twitter for clues!